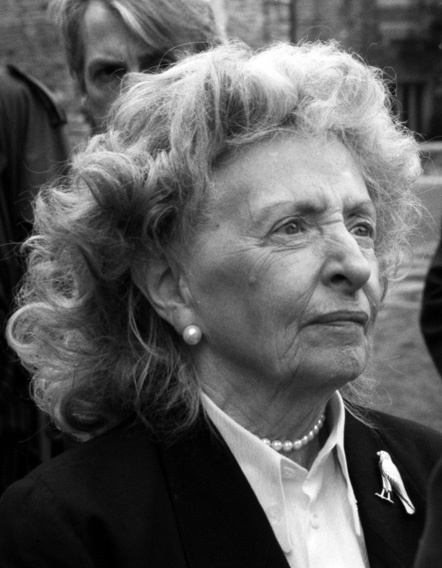 Philanthropist Mary Duke Biddle Trent Semans (1920-2012) was born into a family known for its philanthropy. Her great-grandfather was tobacco manufacturer Washington Duke, a benefactor of Trinity College (now Duke University) and supporter of numerous other good causes. Her grandfather Benjamin Duke was looked to by his brother James B. and his father to direct the charitable giving for the family. Born in New York City, Mrs. Semans moved to Durham at age 14 to live with her grandmother, Sarah P. Duke. Semans developed stronger ties with North Carolina and Duke University than any other family member of her generation. Her first husband, Josiah Charles Trent, M.D., died of lymphoma at age 34. In 1953, she married Dr. James Semans, a surgeon and associate professor of urology at Duke. The couple had three children and dedicated much of their time and resources to philanthropy and the arts. Dr. Semans helped start the North Carolina School of the Arts in Winston-Salem (now the University of North Carolina School of the Arts) in the 1960s, and chaired the school’s Board of Trustees for its first 17 years. Mary Semans established the school’s International Music Program in 1967. She and Dr. Semans regularly travelled across the world to support performances by School of the Arts students. Semans’ connections to Duke University were deep and varied, ranging from art history student in the 1930s to serving on the Board of Trustees from 1961-1981. Semans also supported the university and Duke Medicine through the Mary Duke Biddle Foundation (begun by and named after her mother), the Josiah Charles Trent Memorial Foundation, the Josiah Charles Trent Collection of the History of Medicine, and the Mary Duke Biddle Scholarship. She spent decades as a trustee, vice chair, and chair of the Charlotte, North Carolina-based Duke Endowment. This private foundation was founded by her great uncle James B. Duke when he provided the endowment that transformed Trinity College into Duke University. Along with its support for Duke University, the Endowment benefits higher education, health care, children’s welfare, and spiritual life in North and South Carolina. Semans’ love for Duke University was matched by her commitment to her adopted hometown of Durham. In 1951 she was one of the first two women elected to the city council, along with Kathrine Everett. From 1953 to 1955 she served as Durham’s mayor pro tempore. She was a trustee of Lincoln Community Hospital from 1948 to 1976, a facility the Duke family started in 1901 to serve the needs of black patients in Durham. My feeling is that we are all here for each other. I take very seriously this business of treating your neighbor as yourself, trying to be your brother’s keeper. They’re solid maxims for life. You’ve got to be interested in what besets other people, what their needs are. Many have said that when they met Mary Duke Biddle Trent Semans, they felt an immediate connection, as though they knew her. It was obvious that throughout her life, she felt that same connection to Durham. She knew our community, and had an undying devotion to it, to the benefit of everyone who calls our great city home. We are grateful for her leadership over the years on many civic and academic boards, and for her contributions to health care, to civil rights and to the arts. … Truly, Mrs. Semans represented the heart, the goodness, of Durham. She received numerous awards, including the University Medal for Distinguished Meritorious Service, Duke’s highest honor; the National Brotherhood Award presented by the National Conference of Christians and Jews; the University Award from the University of North Carolina; and the John Tyler Caldwell Award for the Humanities, awarded by the North Carolina Humanities Council. She received numerous honorary degrees from universities and colleges and in 2009 was inducted into the North Carolina Women’s Hall of Fame. She died January 25, 2012.